1. 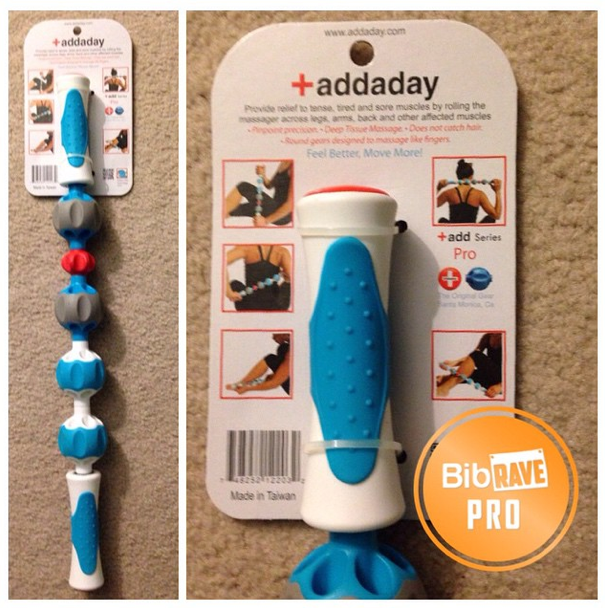 Addaday Ultra Roller Plus Series Pro. This roller is AMAZING, I kid you not. The gears massage the muscles and help work out the knots. I love to use it on my calves every night and especially love it after a long run. If you want more info, read my review here. Please keep in mind that even though I received the roller free of charge thanks to the BibRave Pro program, I only recommend things I like and use myself. 2. Santa Hustle. Tomorrow the Santa Hustle series starts off in Chicago, and I can't wait to run this fun race. I ran last year and though it was extremely cold, I really liked it. Everyone is supposed to wear the sweatshirt, Santa hat, and Santa beard that came with the goodie bag, and it's fun to watch a sea of Santas run along the lakefront path. 4. Time with family and friends. I love this time of year, because everyone makes it a point to spend time together. Whether it's for an intimate dinner or a party, I love getting together with everyone. 5. Cold weather. As long as the wind isn't too horrific, I love the colder weather. I enjoy bundling up in a coat, scarf, hat, and gloves and spending time outside. I also enjoy running in the cold, though I do notice my joints are much more stuff than in the warmer temps. I find it so refreshing. And once the outside activities are complete, I love to come inside and have some hot chocolate with marshmallows or hot cider and snuggle on the couch. BONUS: I also LOVE baking during the holidays – I've been trying new cookie recipes each year, but also always make two kinds with my mom (which we've been doing since I was little). Any great cookie recipes you'd like to share?! What are some things you are loving this week or month? I can't wait to spend time with my family! Best part of the holidays! :-) Have fun at your race!! It's so great! Love the memories that come out of it each year. Thank you! Enjoy the Santa Hustle. I wish they had one near me. Ahh I keep hearing about that roller :) Have a good run! 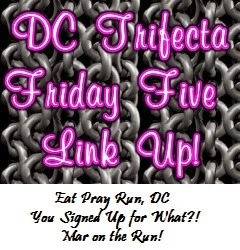 I have a Jingle Bell 5K! Heather, I love the cold as well; not TOO cold, mind you, but I like to go running on a cool, brisk day. I with you, though...as long as the wind isn't too bad! :) Hope you had a great run this morning and are having a wonderful weekend! Haha totally agree - don't want it TOO cold ;) Thanks, it was a great weekend!